01 May 2016, at 1:00a.m. 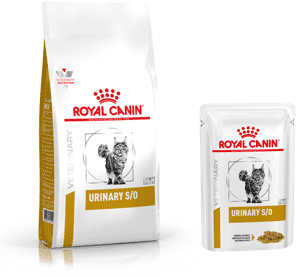 Lee Danks in the 4th in his series for Royal Canin examines the language and legalities of labelling. FOOD LABELS ARE UNDENIABLY EVERYWHERE. They’re everywhere because it’s important that we know at least some basic key information about the food we purchase and consume (and that which our pets consume). Be aware, however, that when looked at with an untrained eye they can be obscure and often misinterpreted. Being an important declaration subject to specific regulations, the challenge is not to overlook them, particularly in the context of dog and cat foods, where a single diet may be fed to a pet for extended periods of time, thus dietary choices are key to long- term health. If we can use pet food labels to inform the choices we make, we’re more likely to arrive at the most appropriate nutritional solution. Pet food labels present a combination of nutritional analysis, feeding directions, traceability facts and contact information which can be the purchaser’s first introduction to a product. While the marketing messages which abound on other parts of the packaging can give the owner an impression of a brand’s values and philosophy, the legal part of the label is regulated under strict European Union legislation for animal feed. The long list of mandatory labelling requirements ranges from the product description, instructions for proper use, analytical constituents and feeding guidelines and is readily available from the European Pet Food Industry’s website. One may infer that on-pack “busyness” combined with a lack of education on what truly constitutes a label (and what it means) is the reason why consumers are demanding more information about what they’re buying but less “clutter” which confuses their decisions as reported in a recent Mintel report. This presents a major challenge to a manufacturer who is obliged to inform the purchaser on a number of points. Terms such as “with”, “natural”, “fresh”, “reduced” or “light” should be clarified. Some owners will choose “reduced fat” pet foods, as the term implies that it is better for those looking to manage their pet’s body condition. Legally, manufacturers use the term “reduced” if the level of the named constituent is 15% lower than in a similar standard product. When it comes to achieving weight loss, where a restriction of 30 to 50% of calories is often required, a “reduced energy” or “light” label (referring to 15% less calories than the standard product) may lead to unrealistic expectations... and loss of confidence when practice staff recommend these diets for heavy pets. In a similar vein, and sometimes to appeal to the owner’s palate, some packaging contains the word “with”, for example “with carrots” or “with beef”. Owners may envision a tasty let mignon meal, whereas legally the pet food only needs to contain 4% of the named ingredient. The composition of a food is included as a list of ingredients in descending order of weight. This can be ambiguous as the total weight of an ingredient includes the raw material’s water content. This weight-listing is referred to as “the mixing bowl” approach and may mean there is less correlation between the amount of meat claimed on the composition list and the dry- matter nutrients (e.g. protein) actually in a diet. Knowing this, and that pets have a need for specific nutrients, not select ingredients, it is sensible to look to the nutritional analysis when choosing a food or comparing one to another. The one exception to this is where an animal has a proven adverse or allergic reaction to a particular ingredient, proven by means of an elimination diet trial. In this case the ingredient should be avoided completely. Out of all the content on a label, owners and veterinary staff will probably find feeding guidelines, composition (ingredient) list and contact information most useful. 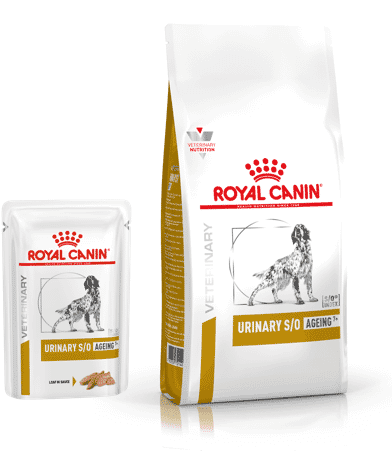 The greatest number of label enquiries we take on the Royal Canin Nutritional Helpline relate to feeding guidelines. A daily ration can be misread as a single meal; owners may fail to feed according to ideal body weight or notice age-related changes to recommendations in growing puppies, for example. Equally some mixed (wet and dry) feeding guidelines can leave people scratching their head. It’s wise to recall that guidelines are just that: guides. They are based on the “average” pet and do not necessarily take the level of activity, life stage, individual size and body condition into account. Should the owner, receptionist, nurse or vet need further clarification, all pet foods are required to have contact information clearly listed on the package. This could be a customer service telephone number or website address which can lead to a hive of information. Good manufacturers should be able to provide easy-to-understand and relevant facts to owners. The WSAVA Global Nutrition group has produced a handy prompt to help owners obtain the most useful information. As pet food labels contain just as much key and health-influencing information as the ones in your kitchen cupboards, it’s important that we have a good understanding of them. Given that every pet has to eat, we’re likely to be called upon for advice and recommendations by savvy owners wanting to know more. Know that there are a number of readily accessible resources (including those available from manufacturers) to assist us in sieving through common sources of confusion. Loaded with the information presented on-pack, appreciating the comparative value of nutrients in complete formulas and being able to distinguish legal from marketing claims, it’s easier for us to feed the pets we see to the very best of our ability. F.E.D.I.A.F (2011) Code of Good Labelling Practice for Pet Food. Available from: http:// ec.europa.eu/food/food/animalnutrition/ labelling/docs/pet_food_code_20102011_ en.pdf [accessed 06/04/16]. Mintel (2016) Global Packaging Trends. Available from: http://www.easypack.net/ static/pdf/Mintel-Report-Global-packaging- trends-2016.pdf [accessed 06/04/16]. PFMA. Ingredients insight: animal proteins in pet. Available from: http://www.pfma.org.uk/ ingredients-fact-sheet [accessed 06/04/16]. 4. WSAVA (2013) Global Nutrition Committee: Recommendations on Selecting Pet Foods. Available from: http://www.wsava.org/sites/ default/ les/Recommendations%20on%20 Selecting%20Pet%20Foods.pdf [accessed 06/04/16].